The winter storms along the south coast certainly re-profiled many stretches of vulnerable coastline, and the power of the waves, tides and surges stirred up the seabed too. 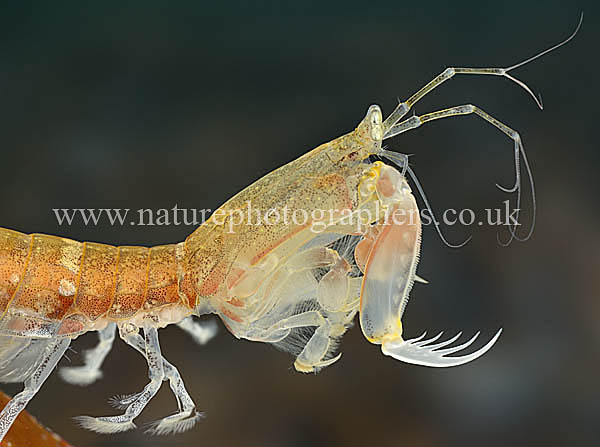 Many marine creatures found themselves dislodged and of particular interest to marine biologists were records of Mantis Shrimp Rissoides desmaresti, washed up on beaches after the gales. This rather enigmatic creature normally lives in U-shaped burrows in silty mud and even now wandering (presumably displaced) animals are being encountered; two were brought up in trawls in the Solent only this week and we were lucky enough to be able to photograph them. The Mantis Shrimp is a feisty crustacean that packs a punch with the spiny terminal segment to the second pair of thoracic legs. 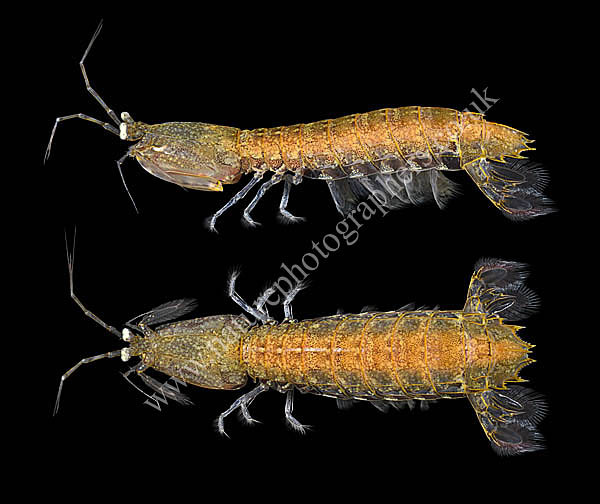 The shrimp uses these in the manner of a terrestrial praying mantis: they are shot forward and capture prey in a deadly embrace, as these stock images from the Nature Photographers website illustrate.